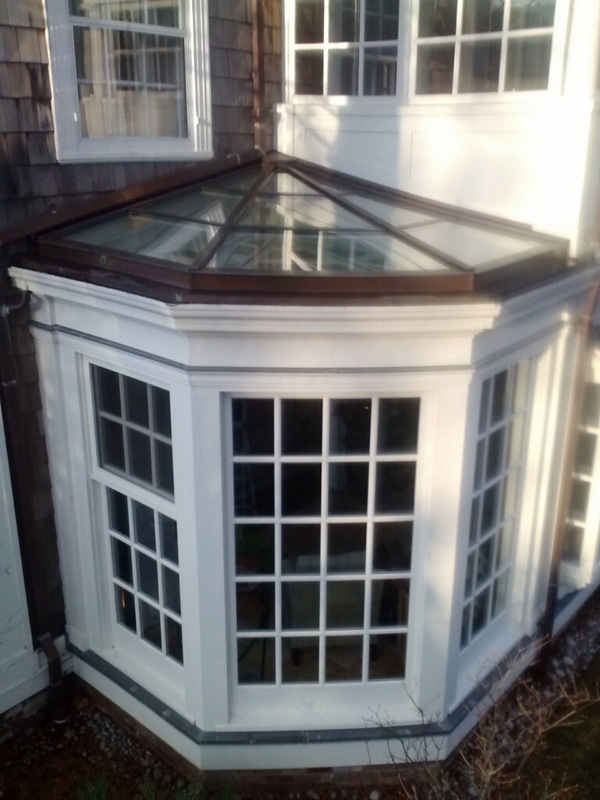 This octagon copper corner glass roof system was custom-designed to enclose both ends of the rear porch for this fine home. 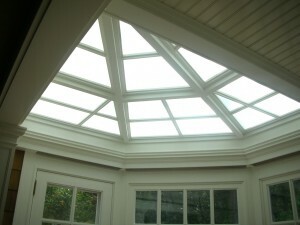 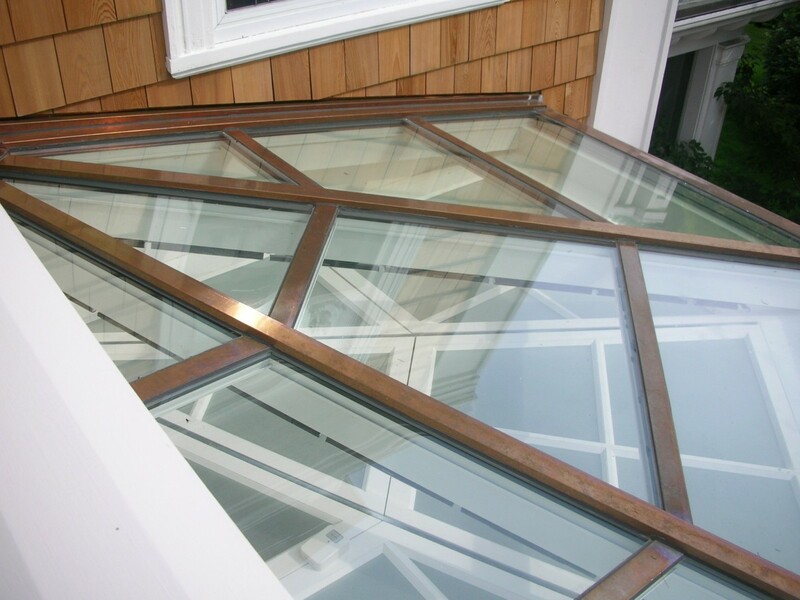 A low-maintenance aluminum frame glass roof with copper exterior. 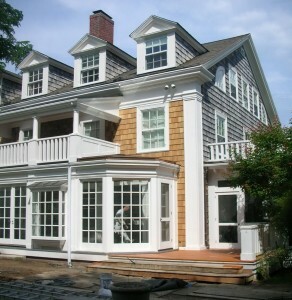 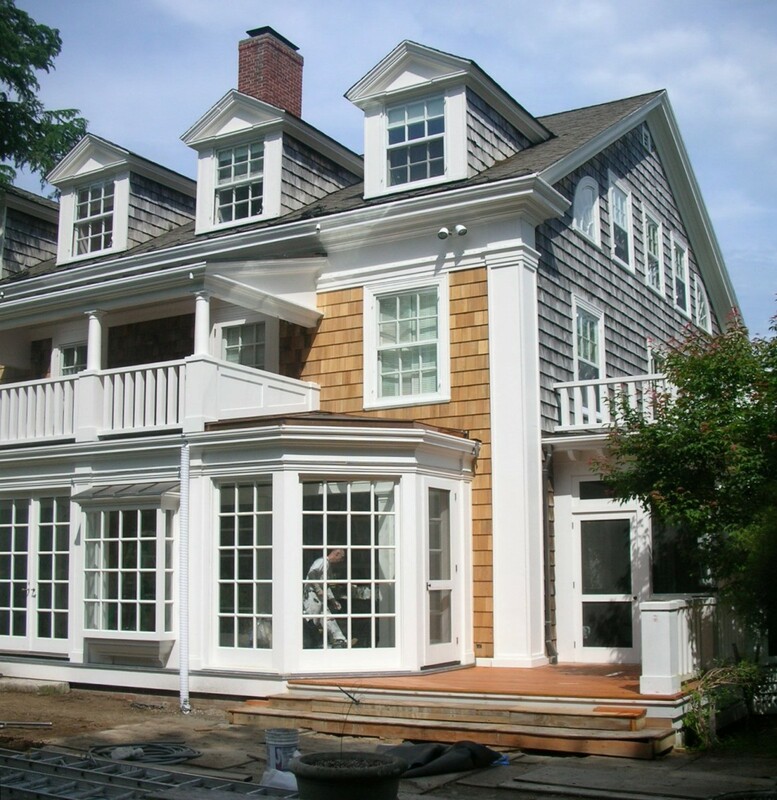 The framing was designed to follow the existing lines of divided lite windows below and exterior was enhanced with built up crown molding at the eave.